From Monday 16th March 2015, the following Opening Times Apply. Saturday 630pm -10pm A La Carte Menu only available. Imaginative Irish and international cuisine will delight the palate at Knightsbrook Hotel Spa & Golf Resort . With a combination of fine dining in the main hotel and more informal dining in the Golf Club guests will have the perfect choice. The staff the food are just amazing. The staff can’t do enough for you so pleasant and friendly people. We had our first anniversary dinner here the weekend and it was definitely a 5star experience. Clean/clear the tables surrounding other guests having their food. Nice restaurant but having to sit surrounded by dirty tables wasn't pleasant or fair on paying customers. Better variety of vegetarian options - emailed twice requesting the vegetarian options but they were so limited. Can't really comment on value for money as we were on a Groupon so obviously recieved good value for money. Service from Evita was fabulous! Amazing food for our daughters confirmation the help from Shane O'Neill the chef and Kevin the restaurant manager was amazing. Thank you so much for going above and beyond on our daughters special day. Food and service excellent! Highly recommend. Our server was Martin. Thank you. Beautiful food - sea bream & lamb dishes were excellent & great value for money. Delicious food & great service - will be back for sure! We really enjoyed dining in Rococo. We were there for our anniversary. The food was tasty and served in generous portions. The staff were friendly, attentive and professional. We will definitely go back. While we really enjoyed the food we got, it was unfortunate that we encountered a few too many errors, and when you are paying so much for food here I think it needs to be addressed. Firstly we ordered a caraf of wine which wasn’t filled to the measured line. When asked to fix this, the waitress apologised and filled it over the line for us. We both ordered just a main each. It says on the menu that each menu comes with baby potatoes. So we ordered an extra portion of chips along with this. Our mains and sides came with just one portion of potatoes and one chips. We were told there was a mix up and the kitchen must have thought we wanted chips instead of a potatoes so we had to them order more. Some butter was placed on our table and we watched other tables get some bread, yet we never received any. When our mains came we asked if there was any bread, and again we were met with apologies and given bread, but it was just a few too many mistakes for our liking. While our mains were very nice, I think the price is too high for what you get. Darren was superb, can't fault his enthusiasm. Side order was rather small for the price. Pastry section needs addressed, sticky toffee pudding wasn't remotely nice, in fact we didn't see how it could pass as a sticky toffee pudding at all, the pudding part was stodgy and the toffee was more like carnation caramel from a tin. The orange and cumin shortbread that accompanied the raspberry creme brulé lacked even a hint of either flavours. The food was excellent and the portion size was perfect. it was a quiet night in the restaurant so that's why atmosphere was rated low however we had a fabulous meal there and were looked after so well by the staff and manager. we celebrated a 60th wedding anniversary and they made the evening very special. 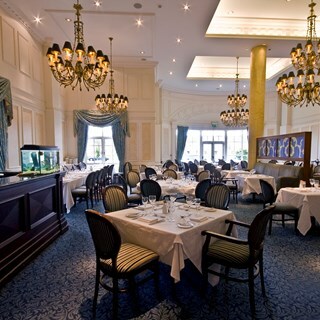 We had another fantastic meal in the Rococo Restaurant last Thursday evening. Kevin had the table seating arrangement in such a way that you could feel a great atmosphere and wouldn't notice that the restaurant wasn't quite full. The flavours of the food and its assembly of accompanying sauces and vegetable/potato touches made you want to lick the plate (if no one was looking).The colours of the new crockery really makes each dish look really appetising. The staff are ALWAYS so polite, attentive, and friendly that our interaction with them leaves us smiling. 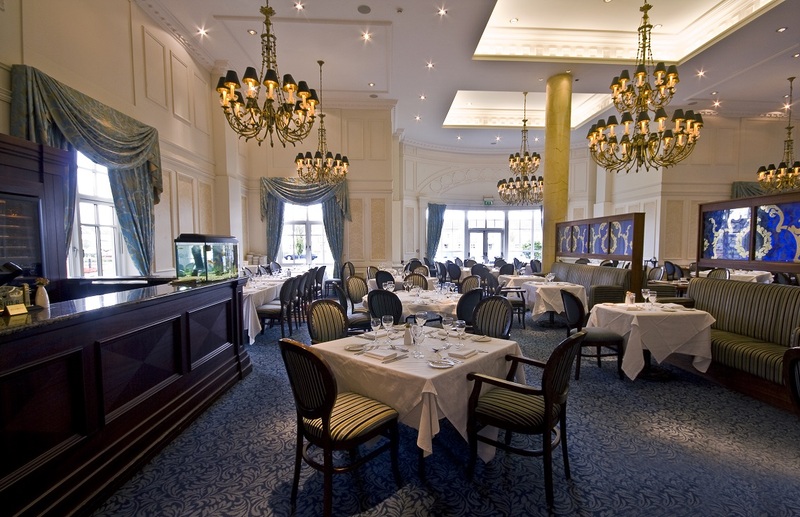 There is a great value early bird menu as well as an A La Carte menu which means the Rococo Restaurant caters for all. Thank You Kevin & your Wonderful Team for another great night. Staff were so lovely and so attentive, my father was with me who is mobility impaired and they were so nice to him, he said that he in no way felt rushed which is a big deal as when we go out he always feels rushed by staff to leave, thank you all so much for making his fathers day such a great day.